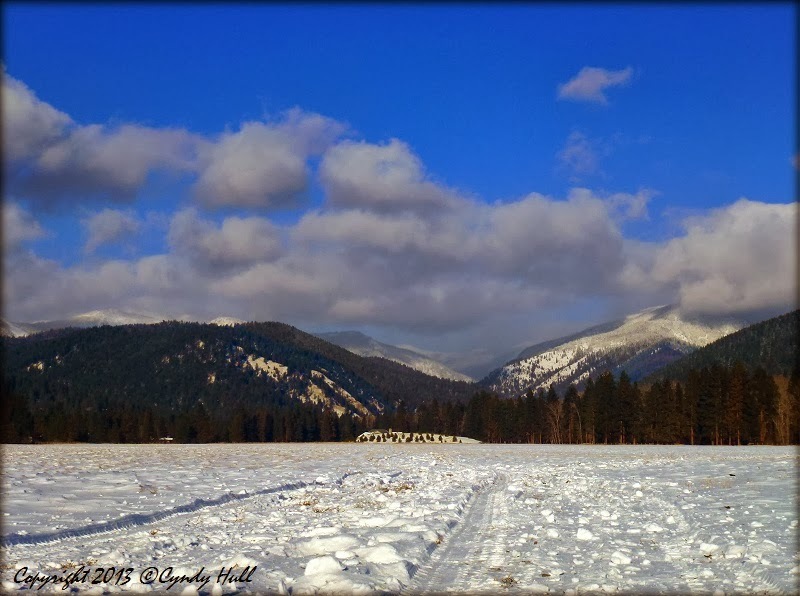 A snow-covered meadow issues an irresistible invitation to the adventurer, begging them to traipse on through and mark trails - whether by big winter boots, snowmobile, some other tire tread, sled, or what-have-you. As kids, we'd create pseudo tractor treadmarks in the snow by walking duck-footed, feet splayed, knees bent slightly, until we couldn't manage the formation consistently. I remember being very serious and careful about placing my feet - heel to opposite arch but not touching - actually thinking we might fool some grownup into thinking a (one-wheeled) tractor had driven across the snow-shrouded front lawn. But maybe that seriousness was really the gullible baby sister being played by an older sibling.... hmmmmmm. Making snow angels was always fun - unless your sibling failed to help you get up.